There’s nothing quite as sweet as seeing a teddy bear dangling by its paw from the little hand of your one. 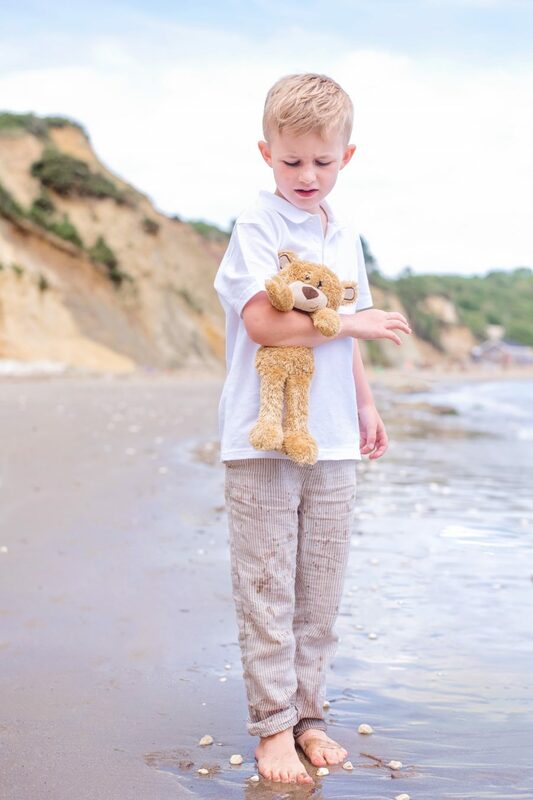 A bear that’s adored as much as Winnie the Pooh by Christopher Robin, or in my case, my Big Ted – a cuddly orange and white bear won by my Grandad, and especially for me, on a pier before I was even born. It’s only taken seven years in Jensen’s case – but the boys fell in love with the Holibob Bears from the moment they saw them – cheeky little bears who come complete with a set of fantastic accessories – a mini chalkboard, activity cards to tell the boys what we’re doing each day, diary, passport, stickers…and a SUITCASE. There is NOTHING like a mini-suitcase when you’re small. The idea is that every morning, your little ones awake to their Holibob Bear sat with one of the activity cards to tell them what they’re going to be getting up to that day – which stops the morning stampede into your bedroom, shouting, “What are we doing todaaaaay?” The little diary is for recording their adventures, and the passport and stickers just complete the fun for my boys! Our Holibob Bears have also enjoyed doodling on their chalkboards to leave little notes about the fun they’ve had. As they’re suitable for over threes, we had to wait a little bit to give the bears to the boys because there would have been a very un-fun showdown over that if only two bears had arrived at home to go on adventures with them. The Holibob trio have been to Centerparcs already – even ate pancakes with the boys – but this time, they went to the Jurassic Coast to enjoy the Isle of Wight. You’ll be able to see how the Holibob Bears greeted the boys each morning when our Whitecliff Bay holiday posts are up – we’re a little bit behind with Grandad being poorly – but the boys took their bears EVERYWHERE with them – even crabbing at the beach which terrified me because the thought of having to wrestle a bear from one of those enormous beasts that we saw was horrifying! I took some photos of Jensen with his bear, Cookie [Lyoto named his after himself, and Hero’s is BEAR, haha] because part of my heart is heavy that soon enough he’ll be too big for showing love to teddy bears and none of this will be cool any longer. 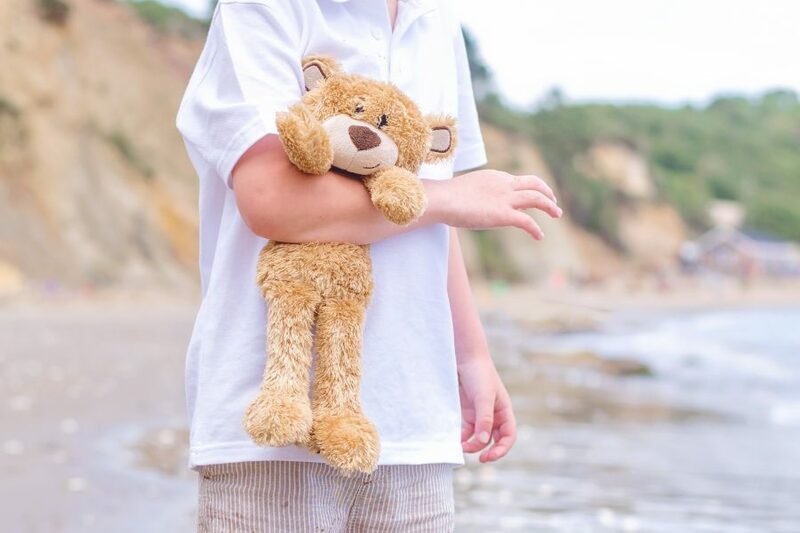 For now, he talks to his bear and makes sure he’s happy – and that makes me happy too. 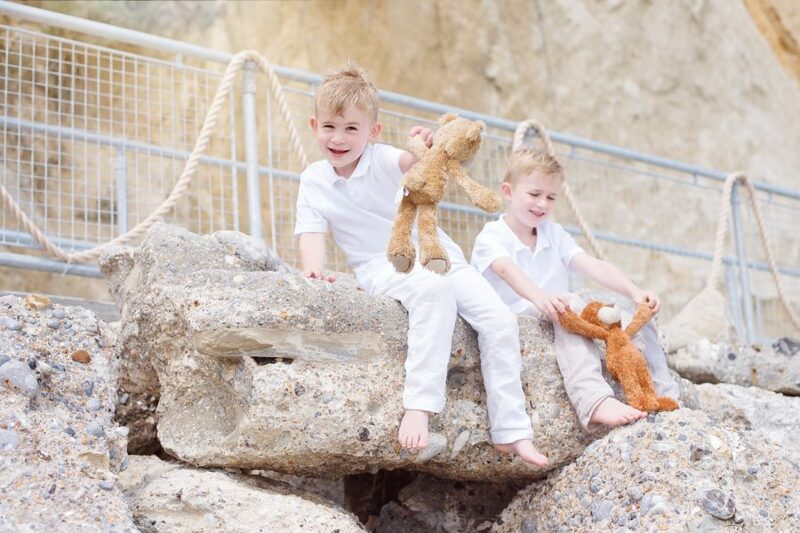 The Holibob Bears are a great way to make stays away from home even more exciting than normal – the boys loved waking up every morning to see what their bears had decided we were up to that day. The little passports were shown on the ferry to a very confused dock gate worker, and their diaries have been secretly written [and drawn] in. The little stickers were awarded to each of them by each other when they had done challenges set by each other – such as spying on the hot tub maintenance man every day [poor man] through the blinds, or sneaking chocolate biscuits to each other. The bears have been super handy this Summer holidays – having them around prevents an ambush of over enthusiastic boys every morning gleefully exclaiming that they have no idea what we are doing that day – and when there’s been something that they’ve really wanted to do, Holibob bears have been the deciders [not evil mommy] of whether they have earned it or not by displaying the Golden Ticket and a note on their little blackboard by the side of the bed. They are just that brilliant. There are two choices of bear – dark and light fur; we have two dark and one light, and they are all as cute as each other. The favourite accessory in the Holibob collection has to be the little suitcase – which has even had snacks in it for days out, and we only wish that there was a Holibob Bear stamper for the pawsport! We’re kind of hoping that they Holibob Bear clothing range is released soon, but if not, I know three little bears who will be wearing scarves knitted by Granny! If you’d love a Holibob Bear of your own, take a look at their sweet video here, and head to their website to buy!